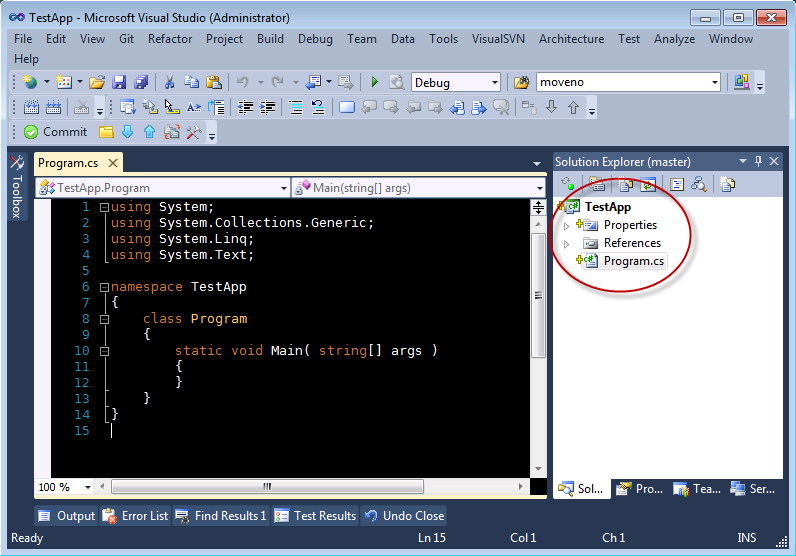 Setup Git Server on Windows with CopSSH + msysGit and integrate Git with Visual Studio. 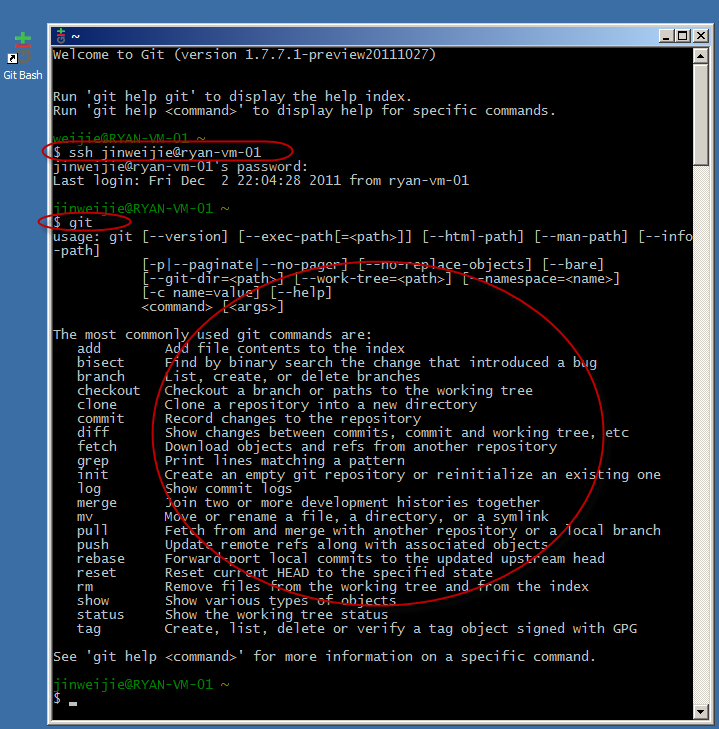 First of all, let me clarify that Git doesn’t need to specify the side for client and server. 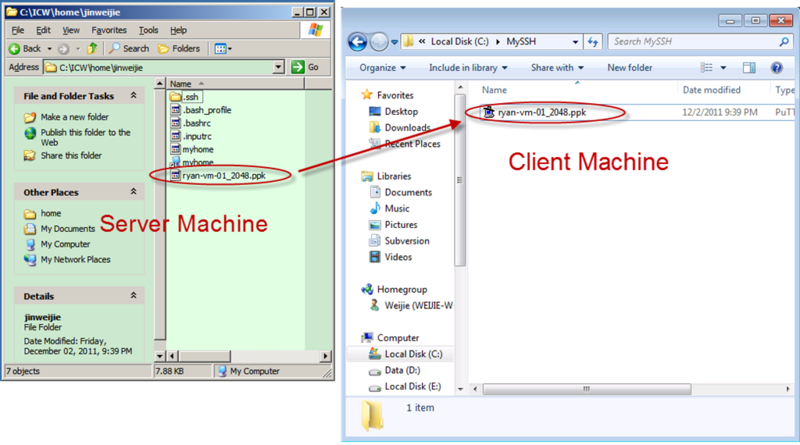 Your workstation can be both the client and server. That means you can get code from other computer, you’re the client; while others can also get code from your computer, you’re the server. 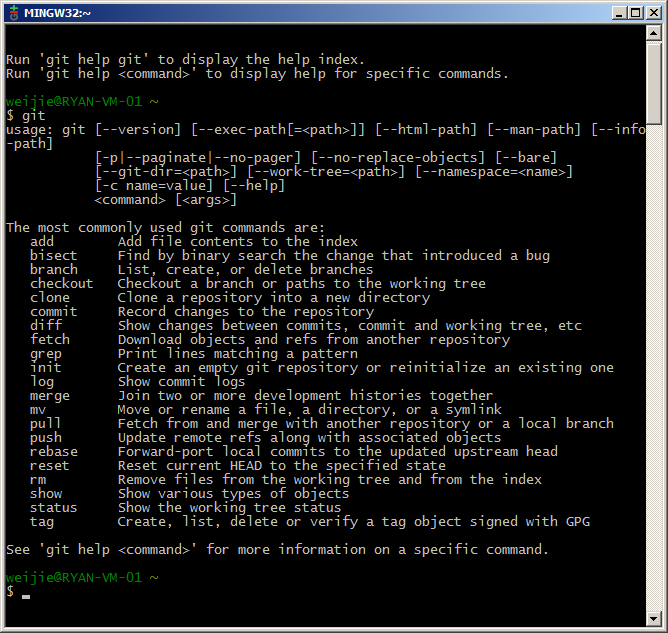 That’s why Git is great. 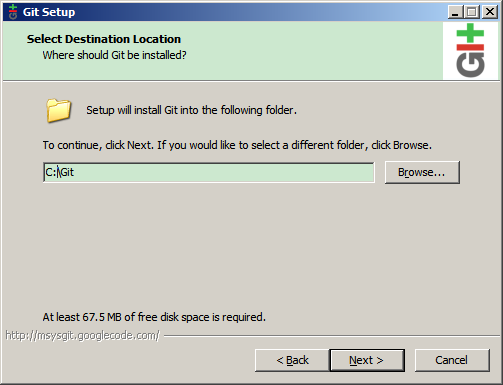 In this post, the “Git server” means to make your computer available for others to pull/push code from/to. The post is long because it’s step by step and with lots of screenshots. In fact, it just takes about 10 minutes to setup all. 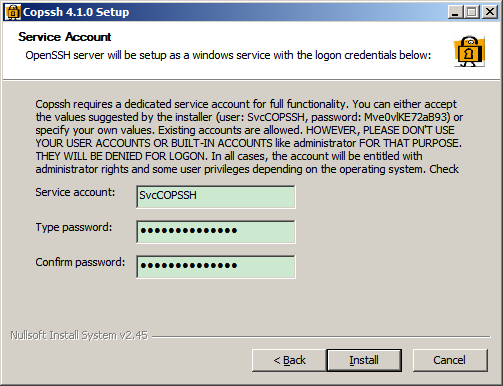 Note: CopSSH is not open source any more, please buy it if you want to use it. a. When you installing the msysgit, please choose c:\Git as the installation directory, because the space in the directory name may cause issue in bash commands. b. 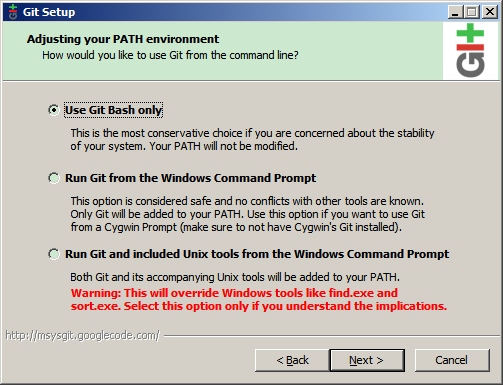 In the “Adjusting your PATH environment”, I recommend to select “Use Git Bash only”. c. Other settings are default. After installation, you get the icon on your desktop. 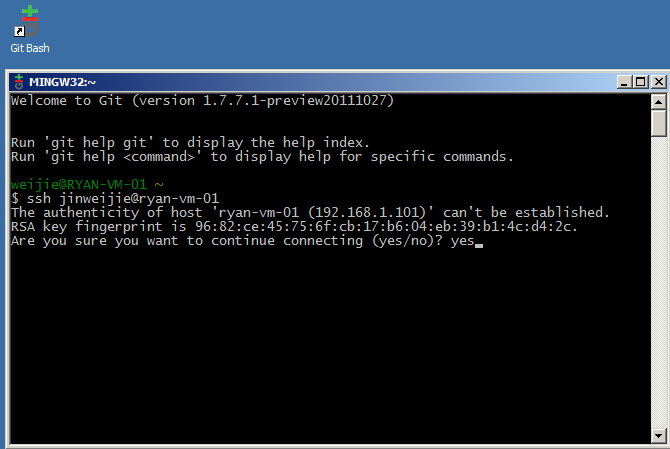 You can try it with git command, if you get the following screen, you’ve installed the msysgit successfully. 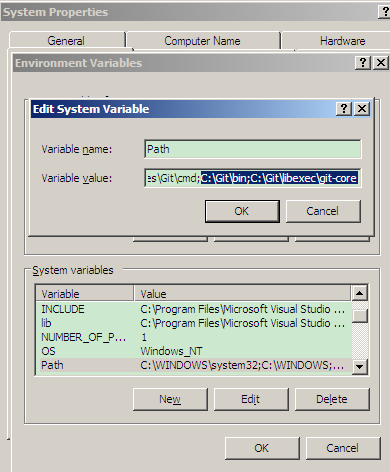 d. Add C:\Git\bin and C:\Git\libexec\git-core to Path. This step is very important. 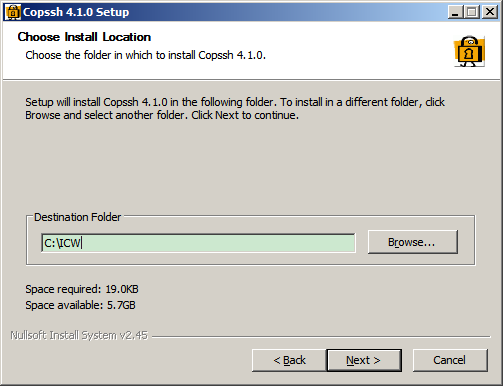 That’s because CopSSH cannot find the git.exe on the server, so we need to tell CopSSH the git path. 3. 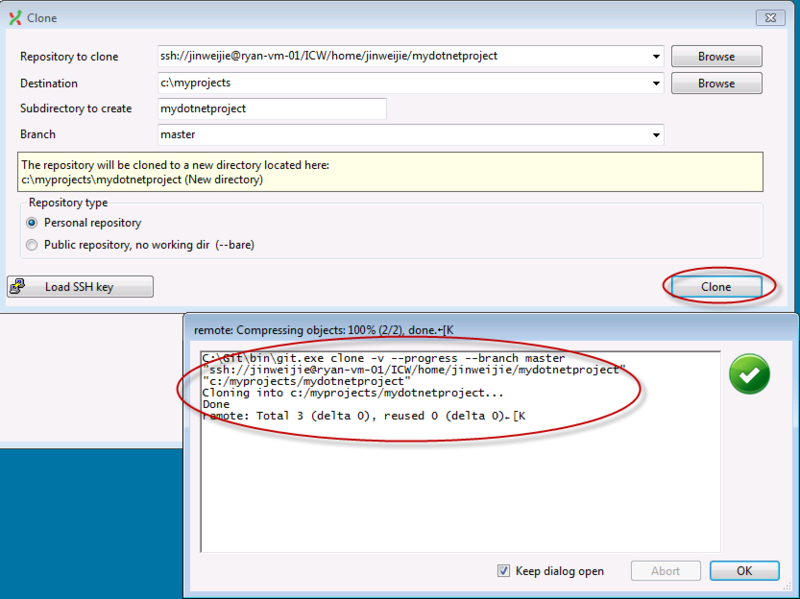 Config CopSSH with Git path. a. 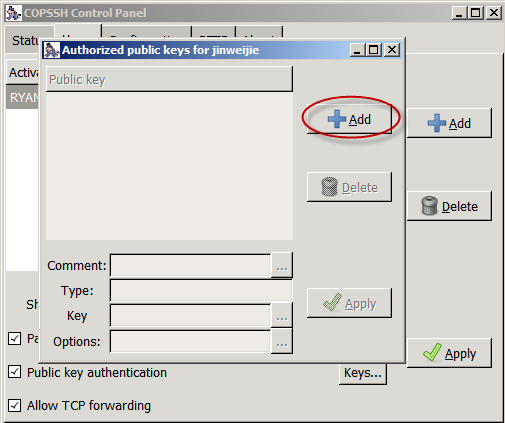 Copy the private key(we generated in step 1-k) from server to client. 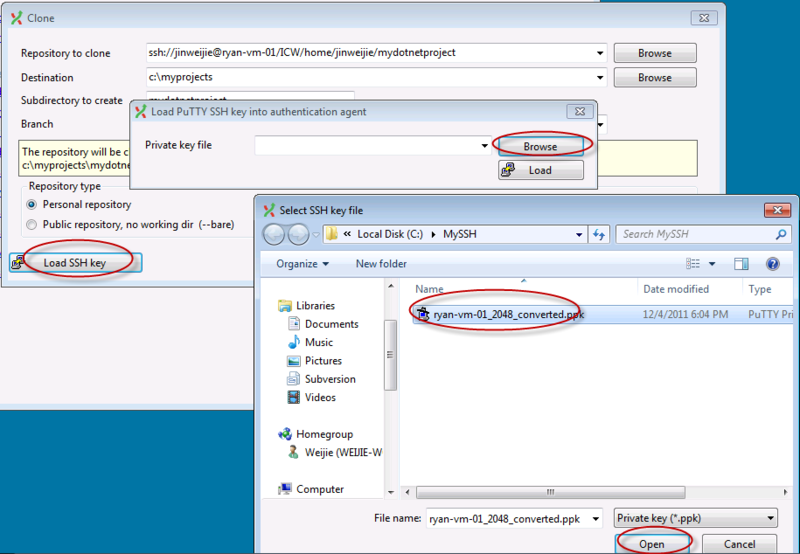 c. Click “Save private key” to save a copy of private key for plink.exe to recognize. a. 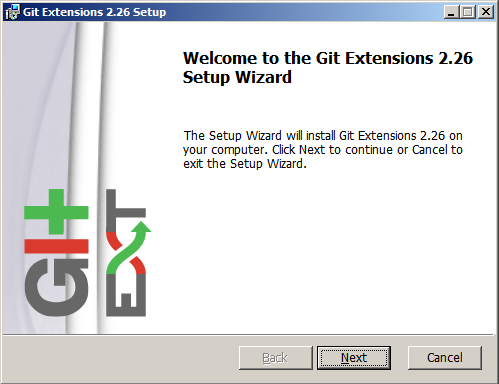 Install gitextensions on both server and client. b. 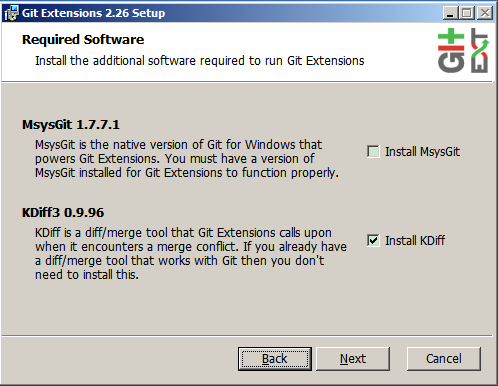 Since we have already install the msysgit in step 1-a, we skip the “Install MsysGit”. 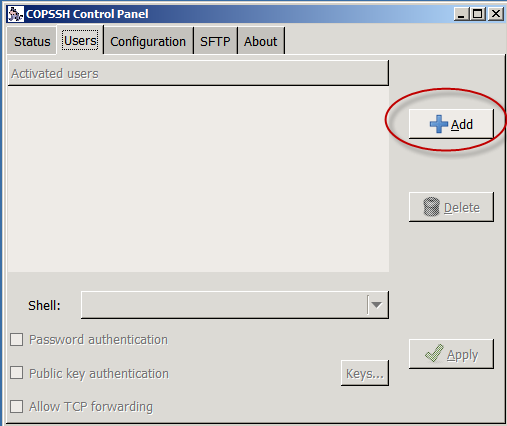 But if you haven’t install msysgit on the client machine, you can check the checkbox and install it. 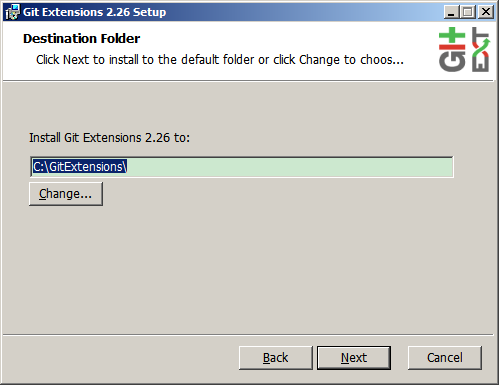 c. Install to C:\GitExtensions\, Other settings are default. 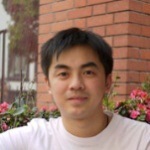 g. On the client side, the repository address should be ssh://jinweijie@ryan-vm-01/ICW/home/jinweijie/mydotnetproject Please be aware that, the repository should begin with c:\ on the server. ASTreeView, the best FREE treeview control for ASP.NET. 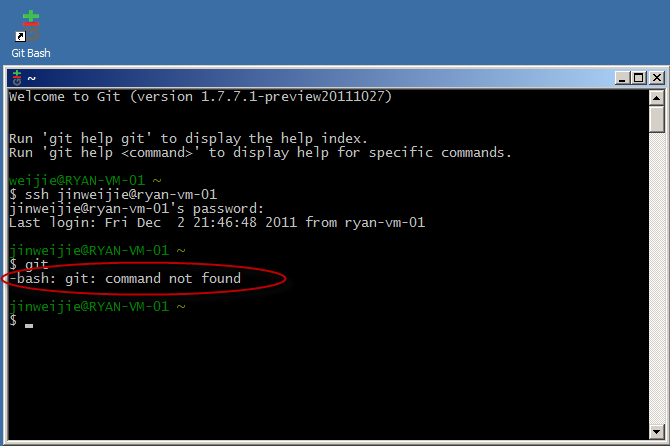 This error occurs when i put my password in git bash. My password is composed of 6 small letters only. 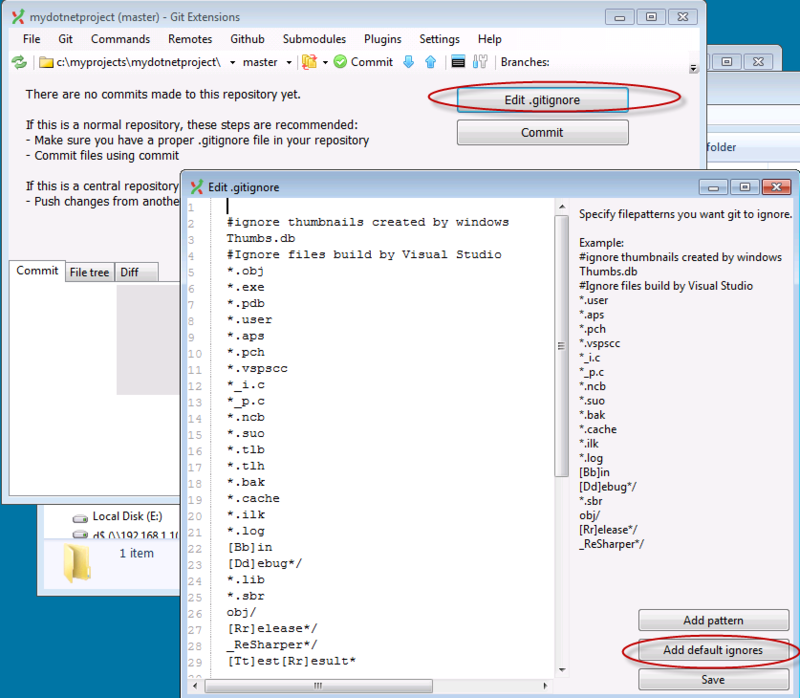 -I followed it up to the point where you clone your repository. and MY Laptop as Local (Windows 7 Home). 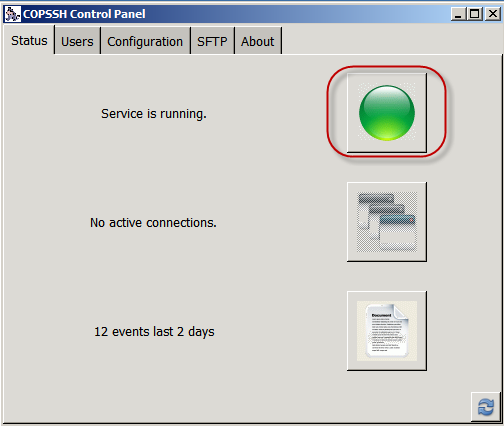 Host does not exsistfatal: Could not read from remote repository. Any idea? GoDaddy's people dont know anything about Git or this situation? 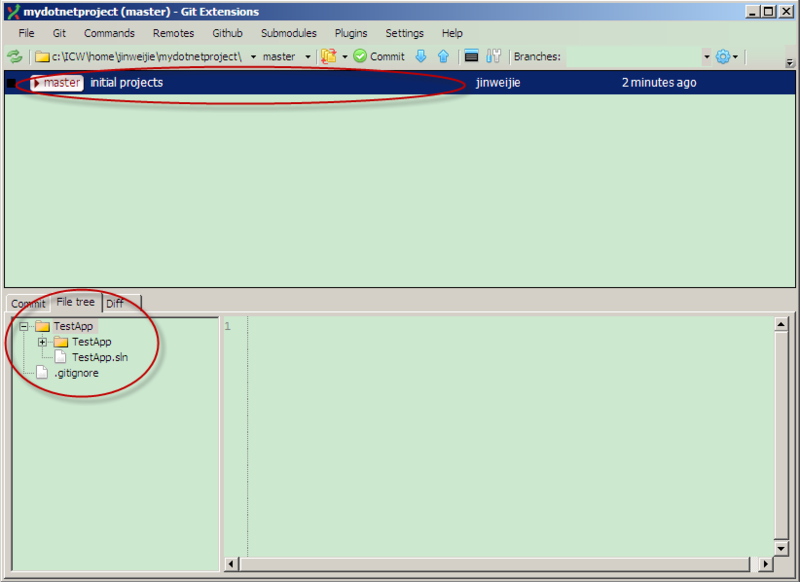 This article is an old approach i used, now i use Bonobo Git Server which quite easy to use and nice. Can we do this for eclipse? Thanks for this. 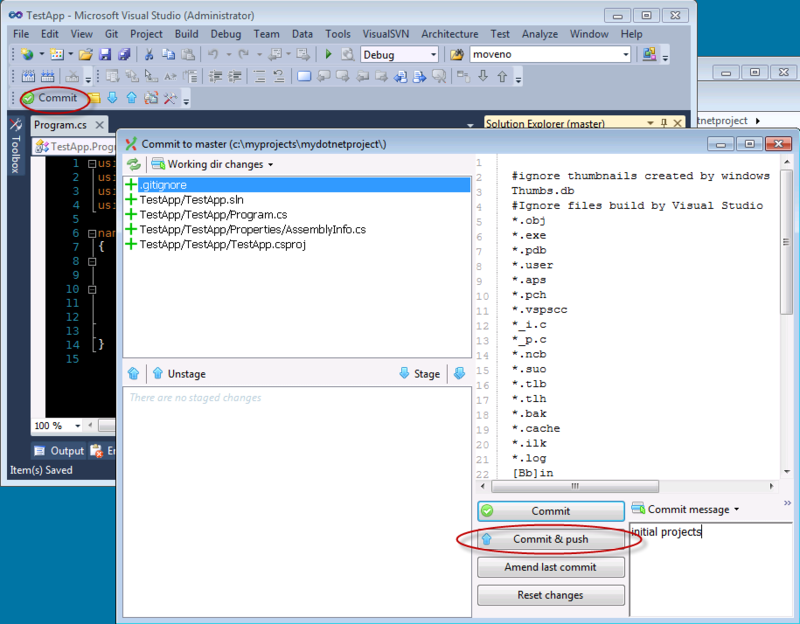 Couldn't get other instructions I found on using CopSSH+msysGit to work but yours did! 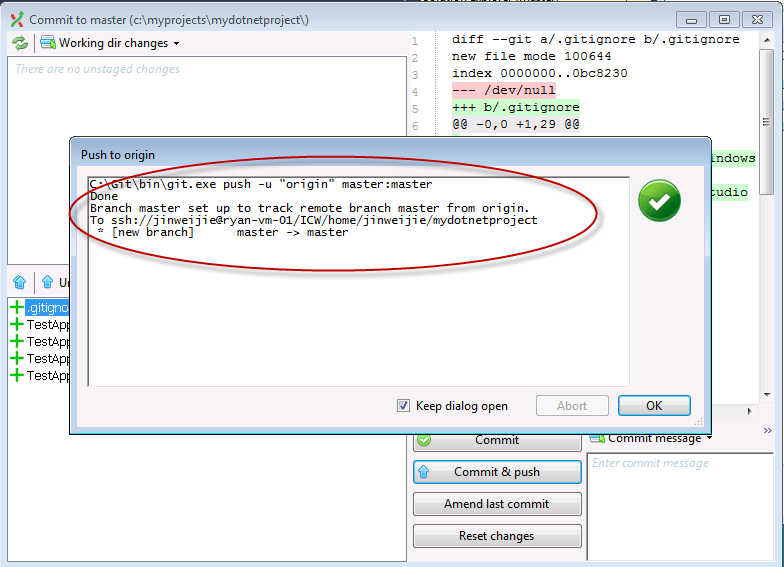 FYI To use a repo on another drive due to space constraints you can use mklink /d in a Command Prompt to create a link. 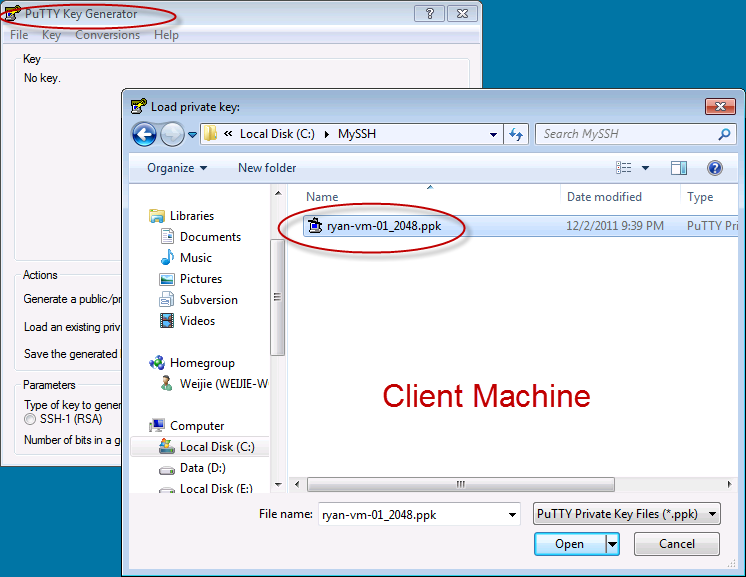 I had to do this due to space constraints on C so I just put a link in the ssh home folder and that worked fine. 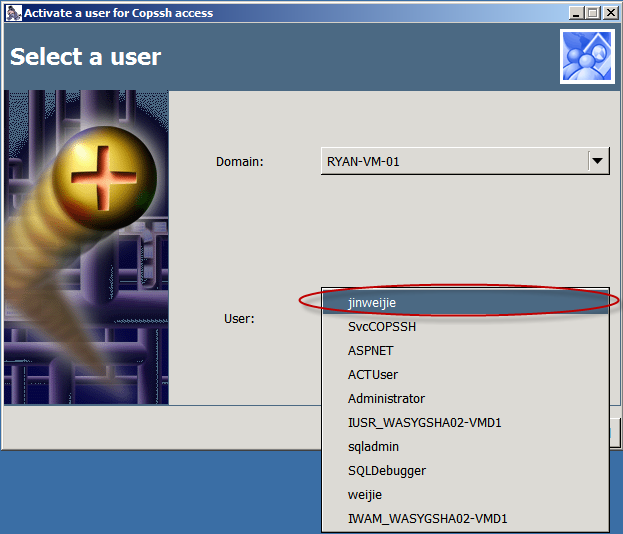 CopSSH is now also available as a free personal edition with all capabilities described in this article. 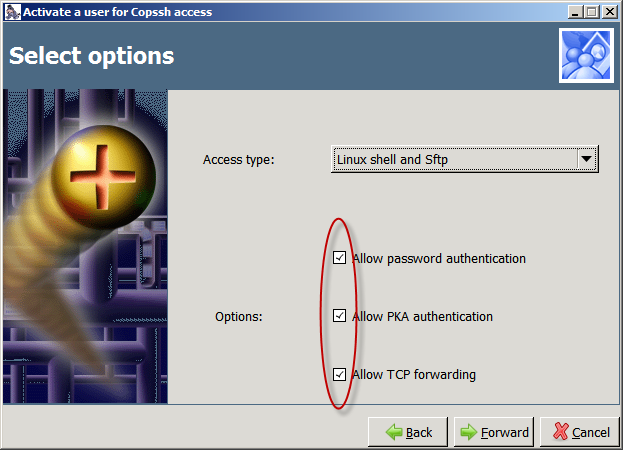 Click here for more information about CopSSH. Great article, but unfortunately, the images are all broken. Thanks for the kindly reminder, I fixed the broken image issue.